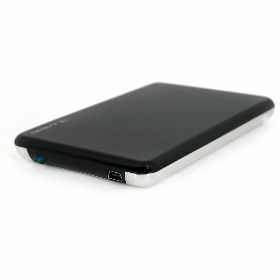 This 2.5" portable drive embodies compact and stylish efficiency, with no sacrifices in functionality. It can be powered by USB cable alone! Its sleek casing is lightweight and portable, weighing only 0.2 lbs, so you can take this anywhere! © 2012 ANKO. All Rights Reserved.